The Victorian literature is a connection between the romantic period and the literature of the 20th century. The Victorian era literature is distinguished by a strong sense of morality and is frequently associated with subjugation. Victorian literature is also known for its efforts to merge imagination and emotion for the convenience of art for ordinary people. It is difficult to classify Victorian times literature as there is a remarkable difference between the early works and the later works as the later works were more close to the works of the writers belonging to the Edwardian era. In the 19th century, a novel was the most popular type of English literature. This century not only saw changes in the English literature but also in pieces of literature of countries like France, United States, and Russia. The Victorian novels essayed the complications in life that one has to go through which involved hard work, determination, etc. The novels would eventually have a happy ending with the culprits being punished. However, the novels contained a moral lesson. These basic characteristics of the novel made the future Victorian fiction complex as the years passed. 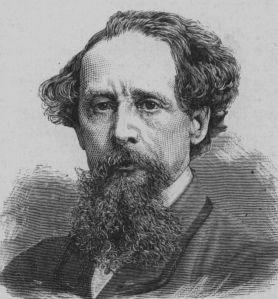 The Victorian popular novelists include Charles Dickens whose books are till date very popular. He published his first book, The Pickwick Papers when he was twenty-five and this book was an instant success. His novels generally were inspired by real life situations. William Thackeray, the arch rival of Dickens was another novelist who focused on the issues of middle-class. He was also known for his novel Vanity Fair which was a historical novel. Historical novels portray the recent history. Other famous novelists include Bront sisters, Haworth, George Eliot, a name adopted by Mary Ann Evans. Other kinds of literature include Children’s Literature, poetry, drama, etc. At times, Victorians are given the credit for inventing childhood in the sense that they attempted to stop child labor and provide mandatory education for children. With education, more and more children were able to read and this inspired writers like Charles Dickens, Lewis Carroll, Anna Sewell, Anthony Hope, and many others to write books and novels especially for children. Poetry was a bridge between the romantic period and the modernist poetry. Poets like Alfred Tennyson, Elizabeth Barrett Browning, and Robert Browning were few of the famous of the famous poets produced in the Victorian period. The famous collection of Victorian comic verses is the Bab Ballads. In the field of dramatics, farces, musical burlesques, comic operas competed with Shakespearian dramas and the serious dramas written by James Planch and Thomas William Robertson. Though scientific books were not considered to be a part of literature, Charles Darwin’s On the Origin of Species was popular. This book explains the theory of evolution which shook the ideas of the Victorian people about themselves and the world. The Oxford English Dictionary which began in the Victorian era became the most significant historical dictionary of the English language. Nature writing was another form of literature. The works of American writers like Henry David Thoreau and Susan Fenimore Cooper had impressed the Victorian writers. In the early Victorian years, Philip Gosse and Sarah Bowdich Lee were the most famous nature writers. The Illustrated London News which began in 1842 was the world’s first weekly newspaper and it frequently published articles and examples regarding nature. The second half of the 19th century saw a rising popularity in the demand for books and articles which dealt with nature. Another type of literature was the old Gothic stories. These were based on fantastic fiction. It was during this time that characters like Sherlock Holmes, Barry Lee, Sexton Blake, Phileas Fogg and others were originated. Also, fictional characters like Dracula, Edward Hyde, The Invisible Man and others became popular. Gothic literature was famous during the 18th and the 19th century. It is a combination of romance and horror which aims to thrill and scare the reader. The Victorian literature was an influencing factor in the literature of the United States and the British colonies like Australia, New Zealand and Canada. If you are struggling with your academic writing in literature, try good literature essay help from SmartWritingService.com and its excellent writers.